Good morning my distinguish guest. My name Sutama, Bali cab driver team. Our trip today is going to East of Bali with Lempuyang Gate of heaven Temple, as this trip going to remote area, we apply extra charge IDR 100,000/car as mentioned on our web conditions. from Kuta, we will driver about 2 – 2,5 hours subject on the traffic conditions. Well Bali known as the island of Gods with Thousand Temple, where ever we travel, beach, mountain, lake, rice fields, river, spring, we will see Temple. basically the Temple divide into 4 type of Temple. Public Temple: Temple that belong all Hindu follower and everyone can come and pray to this Temple. Territorial or Village Temple: Temple belong by the villager who stay at same territorial, this Temple divided into 3 Temple or Trinity : Temple of Brahma. Wisnu and Siwa. Temple of Brahma normally located in the heart of the village and located close to market or junction. Temple of Wisnu or Pura Puseh Temple is located at the north of the village. Temple of Siwa is located at south down of the village where we have cemetery for funeral and cremation ceremony. We have Functional Temple : Temple belong by group of people who has same profession, like Temple of Farmer or Subak Temple, Temple of the market belong by trader at the market or Temple of Fisherman that located near the sea and belong and pray by the fisherman. We have Family Temple belong by the people who has same blood ancestor. All temple will having the regular ceremony every 6 month or every 210 days, on this day the Temple will be colorful as we decorated the temple with special cloths, flower, leaf. Women are busy prepared the offering and man are prepared the food, satay and suckling pig for the offering, Gong or gamelan will be bring to temple and will play the music during the Festival and also many kind of dance will perform to entertain God during the festival. That is a little insight about Temple and ceremony in Bali. What and Where is Lempuyang Temple? 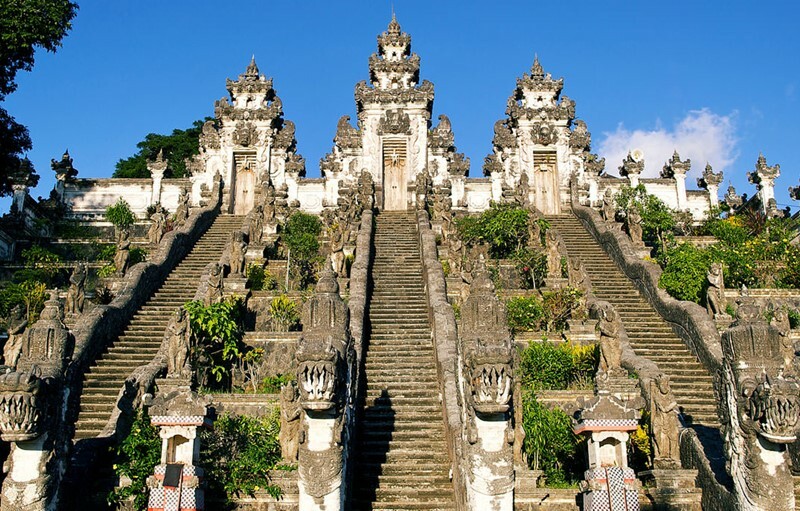 The temple is located in the eastern part of the island of the gods precisely in Karangasem Regency. 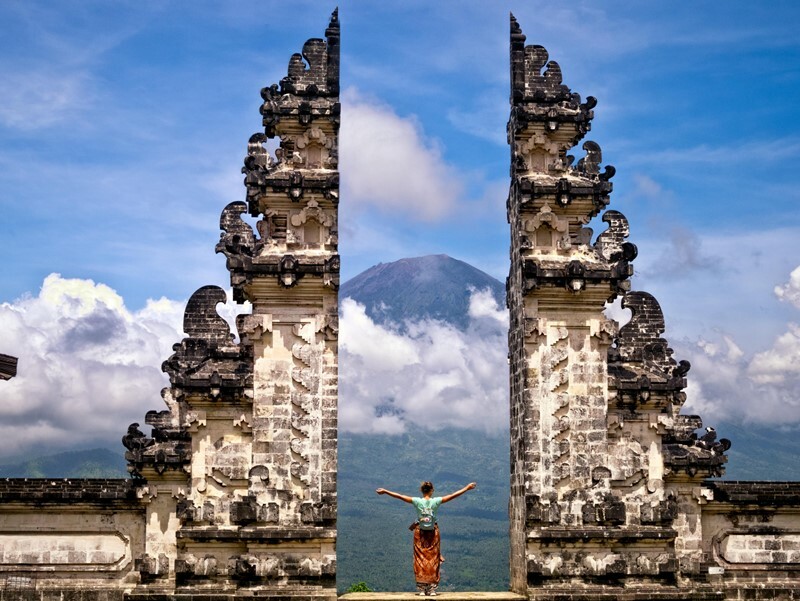 With the stunning backdrop of the Mount Agung panorama, besides being a holy place, Sad Kahyangan Lempuyang Luhur Temple has its own uniqueness like its natural purity, especially the forest area suitable to be the lungs of the Island of the Gods. Tourists who like trekking, travel to Pura Luhur will provide wonderful sensations and experiences, unique and challenging, there are several hiking trails to the summit, if you want it easier, it has been provided on the main lane with terraces, usually used by Hindus as a lane prayer. The beginning of the journey began with a bend accompanied by climbs, the first place we could visit was the Lempuyang Madura Temple including Pura Dang Kahyangan. The question of the status of kasungsung (in puja) by the Hindus in the temple was convinced was Ida Batara Empu Agenijaya and Empu Manik Geni. Where, Empu Agenijaya brothers seven, including Mpu Kuturan, Mpu Baradah and Mpu Semeru. While the palinggih of which are palinggih, linggih, batara, the Agent of Agenijaya, sareng, Empu Manikgeni, Gedong Tumpang Siki (one), two and three, Manjang Saluang, Sanggar Agung, Bale Pawungkan, and Bale Pesandekan. For tourists who want to see the beauty of the peak of Mount Lempuyang / Bukit Bisbis towards the main temple of Sad Kahyangan Lempuyang Luhur at the peak we have to climb more than 1,700 (one thousand seven hundred) steps, when we climb the road to the top we are treated to cool air from the forest which is still beautiful, the sounds of animals and the natural scenery of Karangasem Regency are stunning, which is more unique. It takes extra effort to get to the summit, the thickets of thickets are scattered between tropical trees, the chirping of birds in the wild, and wild monkeys that appear to be hanging out are entertainment while traveling. How to reach The Temple : The local villager provide shuttle from the parking area with cost IDR 20,000/person for one way. its part of the supported the villager with tourism effect benefit. What other tourist object can visit enroute to Lempuyang Temple ? 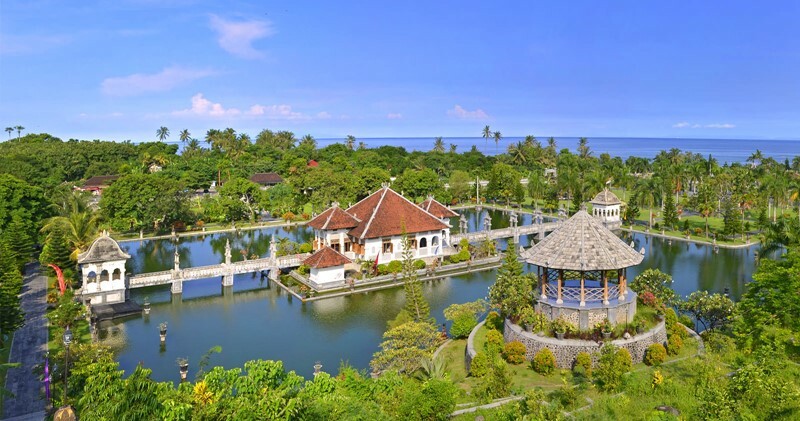 There some famous place of interest that we can visit, first we may visit Taman Ujung Water Palace located at Ujung village, the Palace build with Europe design with big pond and some photo and story from the King can read here. 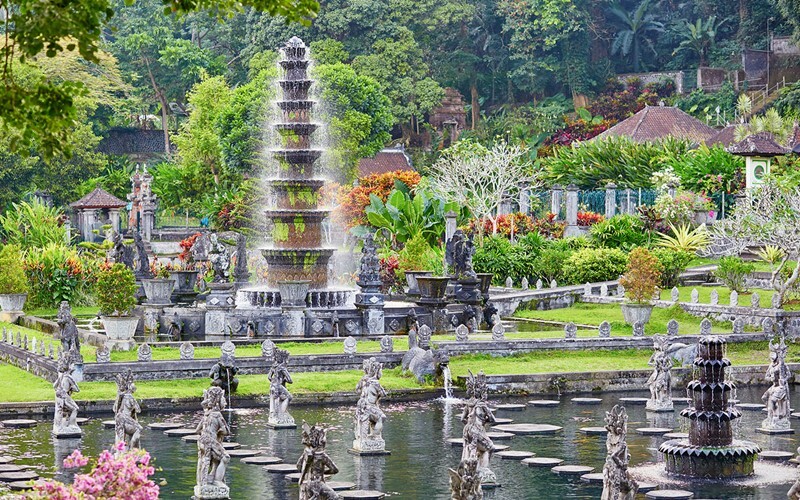 Tirta Gangga Royal pool is another stop with amazing view surround and pretty water fountain, visitor can swim at the natural spring pool, feeds the fish or just relax and walk around the pool, or if you want have lunch, also some restaurant available around here. 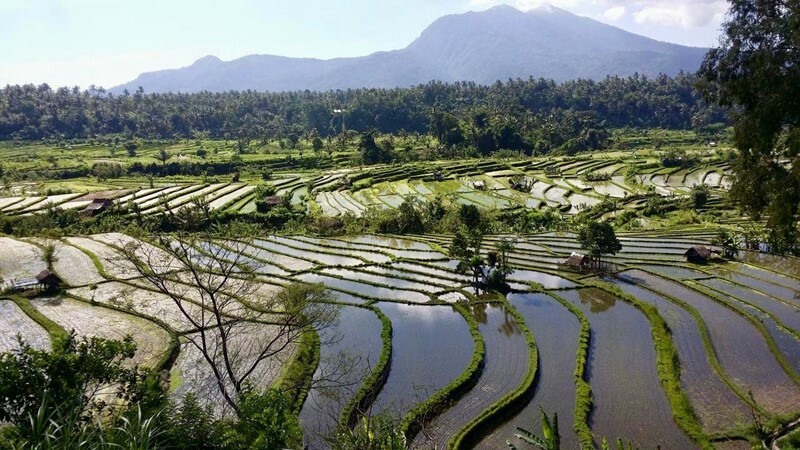 At the north east of Tirta Gangga, we can see the wide rice fields with amazing view for photo shoot. That is tips trip for today, if you want make other stop, we are happy to give you time. Hope the trip today will be full joy and you back hotel happily.